An era that was ushered in by a Sugar Bowl victory and a Carnegie academic research honor came to a close on Friday with the state education board’s announcement that Chancellor Jeffrey Vitter will step down from his position in January 2019. Vitter will resign as the shortest-tenured Ole Miss chancellor since George Holmes retired from his position as the first head of school in 1849, a year after the university’s founding. Vitter’s time at the university is often classified as one of change. 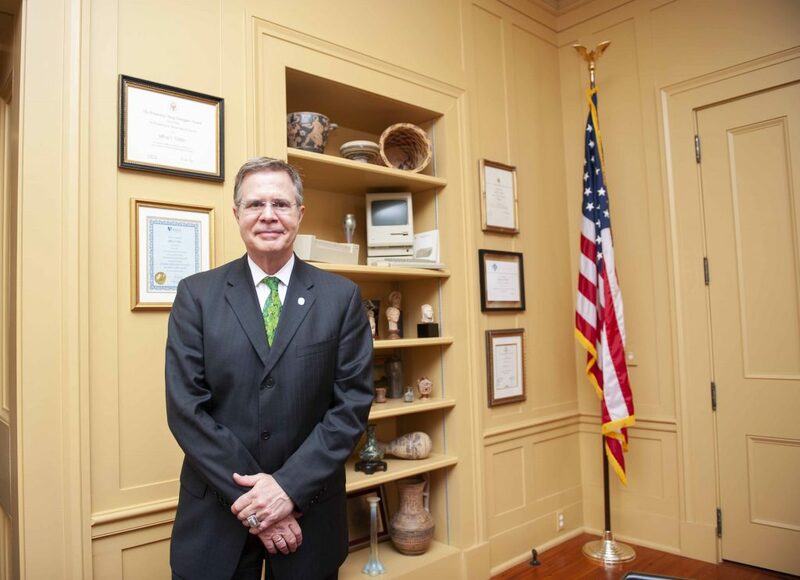 Beyond the multi-million dollar construction projects and physical additions to the university’s landscape he presided over, Vitter led the school through a time of cultural transition. In the three years since Vitter became head of the school, the university has added two new dormitories and a modern basketball arena. It welcomed both a new mascot and head football coach, hired the first Vice Chancellor for Diversity and Community Engagement and installed six contextualization plaques for campus elements. Vitter, like many students who first stepped on campus four years ago, will depart from an Oxford campus different than the one he arrived on. Ole Miss Chancellor Jeffrey Vitter. File photo. He adopted a university already on the path to change and oversaw the implementation of many initiatives that began years before he took the job. 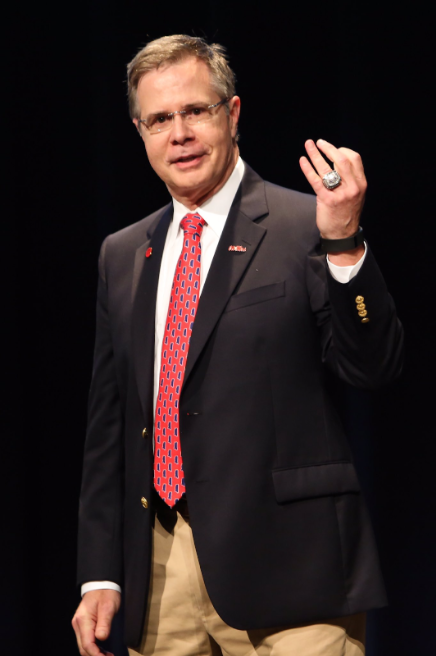 Click here to read Chancellor Vitter’s op-ed to The Daily Mississippian. On Oct. 26, 2015, three days before the Institutions of Higher Learning voted to unanimously approve Vitter as Ole Miss’ 17th chancellor, the university lowered the Mississippi state flag for the final time. The state flag’s removal came one week after heated school-wide debate ended in an 33-15 ASB senate vote in favor of removing the flag from campus. The culture of change had begun to take root on campus before Vitter was selected and it later came to dominate his tenure at Ole Miss. 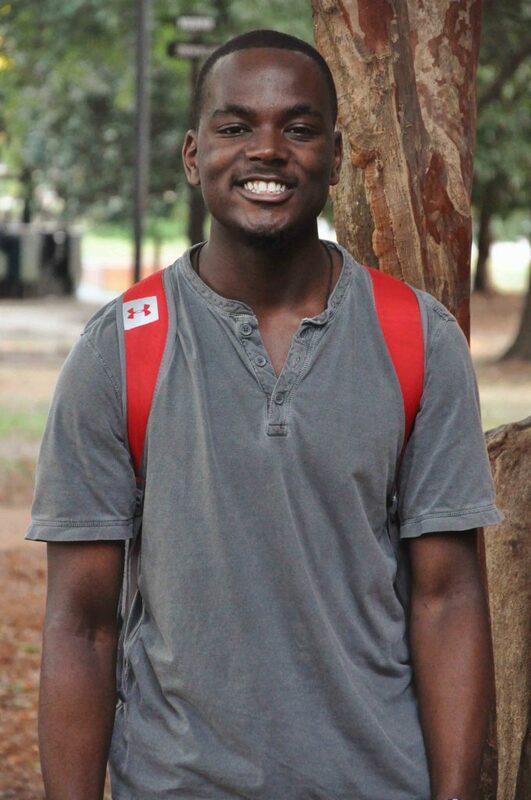 Jarvis Benson, a senior at the university and president of the Black Student Union, said he learned patience through his four years of experiences with the Chancellor and campus administration. Other Ole Miss community members have been disappointed with Vitter’s efforts in addressing Confederate symbols on campus, but for different reasons than those Benson cited. A group created earlier this semester named “Stand Fast Ole Miss” has taken a vocal opposition to what its members see as Vitter’s progressive agenda when it comes to campus symbolism. The Chancellor’s decisions when it comes to wrangling in Ole Miss’ ever-changing identity have left students and alumni on either side of the ideological fold dismayed. Vitter was the first university official to condemn the racist tone of a Facebook post made by prominent donor Ed Meek earlier this year. Vitter urged Meek to delete the post that was criticized for its racist and sexist implications, and the Chancellor later advocated for the state IHL to approve the removal of Meek’s name from the university’s School of Journalism and New Media. The board voted to approve the name change at its October meeting in Jackson. Also in October, Vitter wrote an op-ed to The Daily Mississippian in response to a report on the school’s racial climate published by four UM sociology professors. The report, titled “Microaggressions at the University of Mississippi,” analyzed more than 13,000 entries from Ole Miss students documenting bias related incidents in the university community. In his response, Vitter questioned the protocol of soliciting such reports. “I am disappointed by the fact that the report is silent on whether the research group helped the students who self-reported these incidents by referring them to local authorities or encouraging them to take advantage of resources available on our campus,” Vitter wrote in that op-ed. “While I passionately support free speech, I condemn statements that encourage acts of aggression,” Vitter wrote, which many people took to be a condemnation of sociology professor James Thomas’ viral tweet. Benson said he has noticed a disconnect between Vitter’s community efforts and the Ole Miss community itself. He said he doesn’t feel that the Chancellor “effectively addressed campus relations” unless something had gone viral on social media. 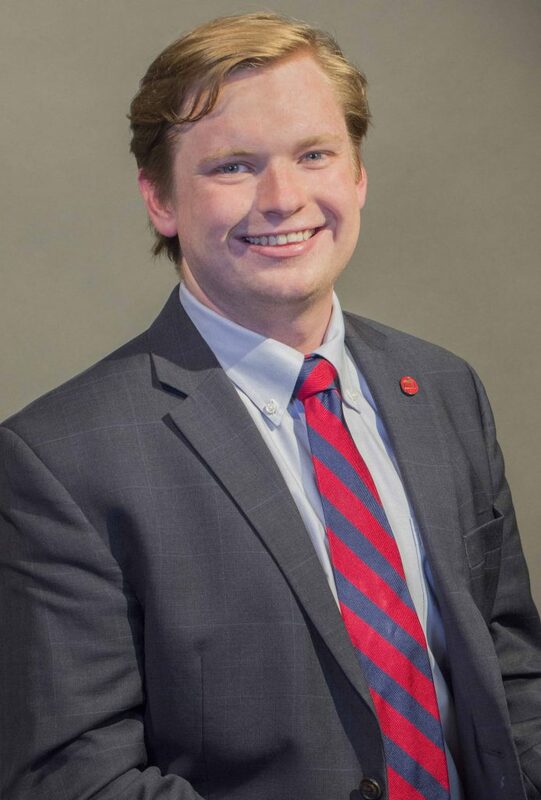 ASB President Elam Miller, a senior, has often worked with the Chancellor’s office since he joined the ASB Executive Branch in spring of 2017. As ASB president, Miller is scheduled to meet with the Chancellor once a month. “Over the past three years I have seen our university make several strides in academics, such as becoming an R1 Research Institute, which I believe can be directly attributed to the work of Chancellor Vitter,” Miller said. Miller said he remembers the Chancellor frequently asking the student body “… to desire more, to give more, to be more and to leave more behind.” He said the university has more work to do to complete the goals Vitter laid out in his Flagship Forward Strategic Plan, but that his plan has provided a foundation for progress. 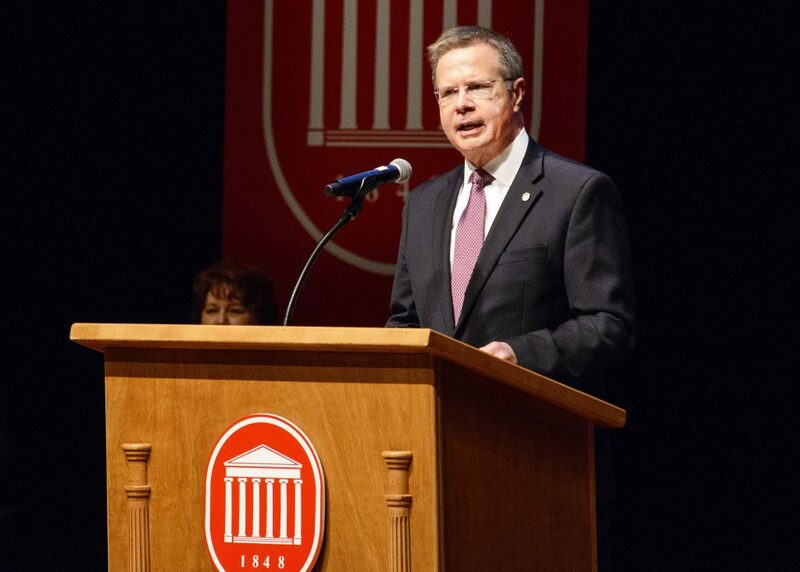 “While Chancellor Vitter has chosen to return to faculty, I challenge the student body to hold true to the values of the UM Family and to demand meaningful participation in the selection of our next Chancellor,” Miller said. Vitter will return to the classroom after Jan. 3, 2019, taking a tenured faculty position in the School of Engineering’s Department of Computer and Information Science. “There is no more important role on a university campus than as a faculty member,” Vitter said in an IHL press release. Benson said Chancellor Vitter might not have achieved all he wanted to in his time on campus. A university spokesman said on Friday that Vitter will not be entertaining requests for interviews at this time.